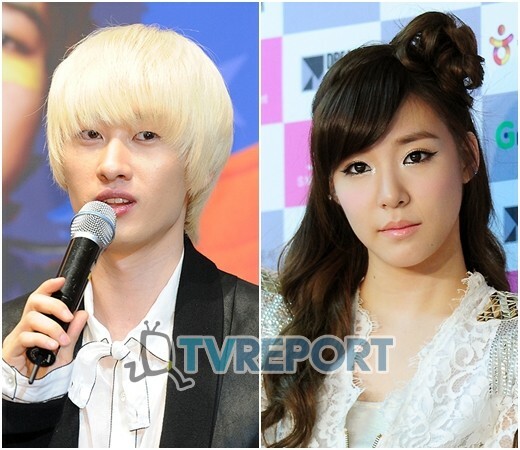 Super Junior’s Eunhyk and SNSD’s Tiffany challenge to act in broadway musical Fame, which will be produced in new Korean version. Fame is a musical film that was popular since 1995, where 4 million spectators watched, making over ￡56 million, and has been nominated a bestseller production across the world. The musical film depicts a group of vibrant, energetic people who audition to study at a School of Performing Arts. The strict auditioning selects only the most competent candidates, who aspire to study dancing, singing, acting, and various other arts. The students who pass the auditioning work diligently and dream to become the top 1% who perform well at school. In this musical film, actor Son Ho Young and Go Eun Sung will act Nick Piazza’s role, Super Junior’s Eunhyk and actor Kim Dae Hyun will act Tyrone Jackson’s role, and SNSD’s Tiffany and actress Shin Eui Jung will act the role of Darmen Diaz. The role of Serena Katz will be played by The Grace’s Lina and actress Choi Joo Ri, and the role of Schlomo Metzenbaum will be played by TRAX’s Jung Mo and violinist Lee Il Keun. Tickets for Fame will be sold from September 6 at 10:00 a.m. and will be performed at Olympic park Geum Yoong Art Hall. The show will run starting from November 25 until January 29 next year.